Food Stamp Fight: Great For GOP Base But Not For Outreach : It's All Politics The House GOP's vote on food stamps is a long way from George W. Bush's "compassionate conservatism" approach. The former president isn't fondly remembered by progressives for much, but anti-hunger advocates credit him for his strong support of the Supplemental Nutrition Assistance Program. During George W. Bush's presidency, Republican leaders won praise for expanding food assistance. Now the House GOP is drawing criticism for cutting it. The Republican-controlled House's vote to cut $40 billion from the food stamp program is just the latest example of how the GOP balance of power has shifted rightward over the past decade. President George W. Bush isn't fondly remembered by progressives for much. But anti-hunger advocates credited him during his administration for strongly supporting the Supplemental Nutrition Assistance Program (the formal name for food stamps) and other policies to help unemployed or low-income workers and their children escape the fear of not knowing where their next meals would come from. 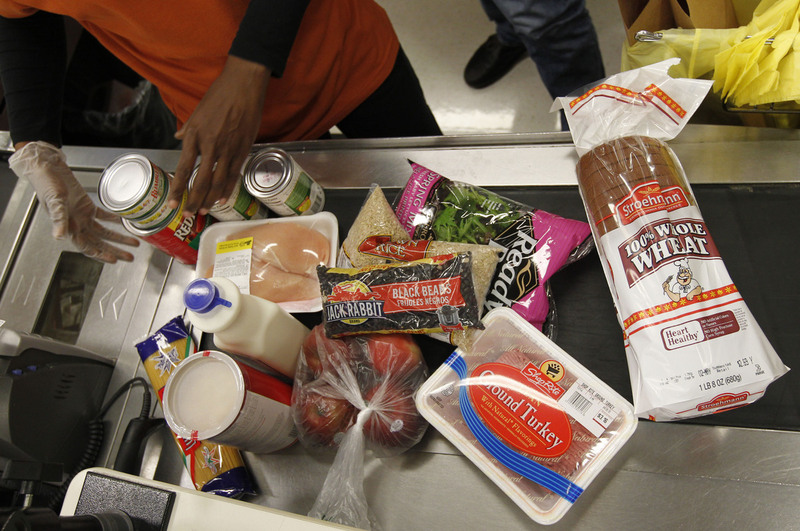 Under Bush, funding for SNAP doubled. When I talked with anti-hunger advocates fairly early in the Bush administration, they were already praising Bush for doing more than President Clinton to directly respond to the food insecurity crisis affecting many people. Whether it came from Bush's sincere desire to help those most in need, political calculus or both, it was the kind of "compassionate conservatism" policy meant to appeal to voters beyond the fiscal conservatives in the Republican Party's base. With its expansive aspects, softer edge and its potential to broaden Republican appeal to voters beyond the base, it resembled Bush's successful expansion of Medicare benefits to include prescription drug coverage and the failed effort at an immigration overhaul. By contrast, with its focus on fiscal austerity, the House GOP's approval of Majority Leader Eric Cantor's bill to cut food aid more closely resembles a case of political base cultivation. It's safe to say the measure will do little to expand the party's national base and could even lose the GOP some votes. After all, 15 House Republicans voted against the legislation. What it comes down to is a kind of political pointillism. National Republicans like Bush and his chief political strategist Karl Rove focused on the big picture created by all those little dots. House Republicans, meanwhile, are focused instead on the individual points —dollar amounts and their congressional districts.